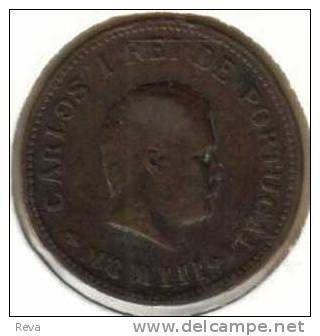 Inde - INDIA PORTUGUESE 1/2 TANGA EMBLEM FRONT KING HEAD BACK 1903 KM ? READ DESCRIPTION CAREFULLY !!! PLEASE NOTE : COPPER COINS DO NOT COME WELL ON SCANS. I DON´T DEAL IN COINS MUCH. I ´VE BOUGHT A LOT ON AUCTION WHICH CONTAINED ALBUM OF COINS SOMEONE COLLECTED BY DATES. SCANNING COIN BY COIN IS LABOUR INTENSIVE AND NOT ALWAYS ALL VISIBLE. THAT WAY ONE HAS TO READ DESCRIPTION TO KNOW WHAT IT IS. NO COMPLAINS !!! I AM TRYING THOUGH TO PUT CONDITION AS ACCURATLY AS POSSIBLE. I DON´T KNOW ANYTHING ELSE ABOUT IT EXCEPT WHAT DEALER PUT ON DESCRIPTION . IT´S VERY FINE USED LIKE FOR COPPER CONDITION WITH ALL INSCRIPTIONS STILL CLEARLY VISIBLE . COIN IS ENLARGED 299% TO GIVE BETTER VIEW (SHOWN ON SCANS). Postage € 1.45 (AT YOUR RISK) OR insured if required € 8 . PAYMENT BY CASH OR PAYPAL ONLY ( Paypal payment 3.99% fee is extra). PLEASE NOTE : BID IS ON 1 COIN O N L Y !! INDIA 1/8 TANKA SULTANS OF DELHI MAHAMMAD SHAH II FRONT &BACK DATED(? )AH702-AD1302 SILVER READ DESCRIPTION CAREFULLY !!! INDIA DENOMINATION ? INSCRIPTIONS FRONT STATUE BACK COPPER XVIII/XIX c ? READ DESCRIPTION CAREFULLY!! INDIA DENOMINATION ? INSCRIPTIONS FRONT & BACK HYDEBARAT ? COPPER 1932? READ DESCRIPTION CAREFULLY!! INDIA 1 PICE HORSE ANIMAL FRONT EMBLEM BACK 1953 KM3-1 VF READ DESCRIPTION CAREFULLY !!! INDIA 10 PAISE INSCRIPTIONS FRONT ASHOKA COLUMN BACK 1969 BRASS PROOF SCARCE KM?READ DESCRIPTION CAREFULLY!!! 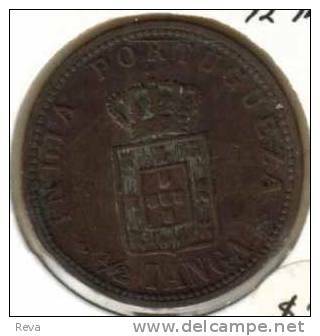 INDIA PORTUGUESE 1/4 TANGA CROWN FRONT KING HEAD BACK 1886 VF KM ? READ DESCRIPTION CAREFULLY !!! INDIA 10 RUPEES ASHOKA COLUMN FRONT GANDHI HEAD BACK ND(1969) AG SILVER UNC KM185 READ DESCRIPTION CAREFULLY!! INDIA 1/4 FALUS SULTANS OF MALWA MAHMUD SUAH II FRONT & BACK ND(1510-31) G:M176READ DESCRIPTION CAREFULLY !! !